In 2010, Mission First was approached by an attorney from The Harrison Institute representing the Dahlgreen Courts Tenants Association (DCTA). Dahlgreen Courts, a total of 96 units in two buildings built in 1927 and 1929, was being sold by its owner. Under the DC Tenant Opportunity to Purchase Act, or TOPA, the DCTA had been offered the right to match the contract price and purchase the building. Mission First worked with Harrison and the DCTA, who assigned their tenant rights to Mission First, to buy the buildings in exchange for Mission First agreeing to rehabilitate them while maintaining affordability and allowing existing residents to remain. Mission First decided to pursue historic tax credits to help fund the building renovation. Mission First worked with its historic consultant to designate the buildings as historic landmarks. 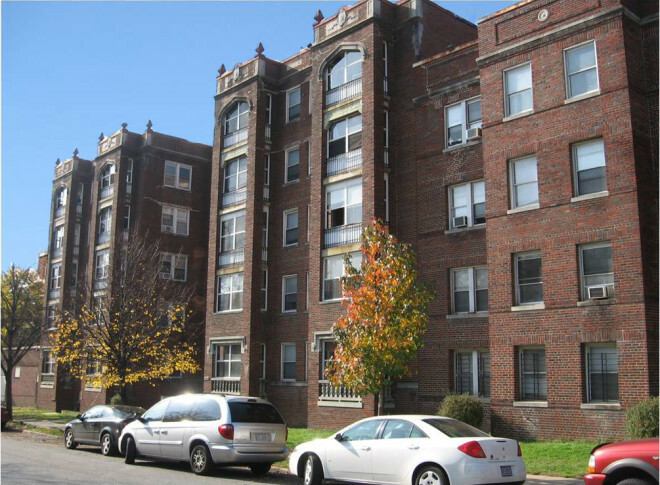 Research showed that the buildings were some of the oldest multifamily structures in Brookland, originally constructed as housing affordable for the growing population of federal government workers. The location was especially strategic for these workers as a streetcar line ran down Rhode Island Avenue to the downtown employment center. In many ways, Mission First’s renovation was restoring the buildings to their initial intent – quality affordable housing close to mass transit, although now the Rhode Island Avenue Metro Station. Mission First and its architect worked with the existing tenants to ensure that the designed renovations met their needs – not only renovating all major systems and installing new kitchens and bathrooms, but also converting underutilized basement space to a community room, business center, and exercise room, as well as installing code compliant elevators and ramps to provide handicap accessibility. The renovation of Dahlgreen Courts, completed in 2013, ensured long- term affordability for the DCTA and new residents, who can enjoy the amenities coming to the rapidly developing neighborhood, where new retail and housing is being built around the Metro station.